How do you travel indefinitely if you aren’t rich and have kids? Katie and Jeff are two Californians with itchy travel feet. If they had their way they would travel indefinitely or at least until that itch to travel goes away. Find out how they currently travel and how they plan to make the dream of Full-time travel last as long as they can with three kids under the age of 6. Hint, it’s not just about making the perfect plan. 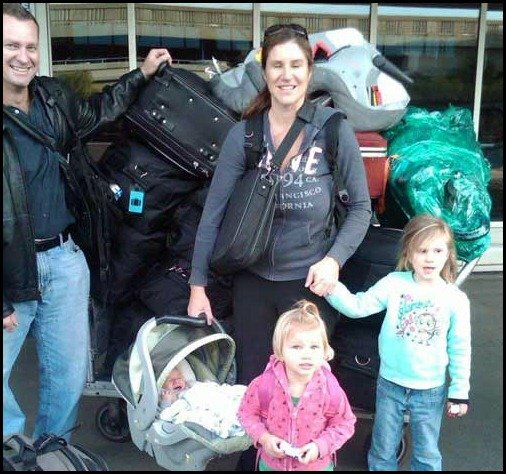 The Barnes family are an American family of five from Southern California who have been travelling with their 3 children since 2011. 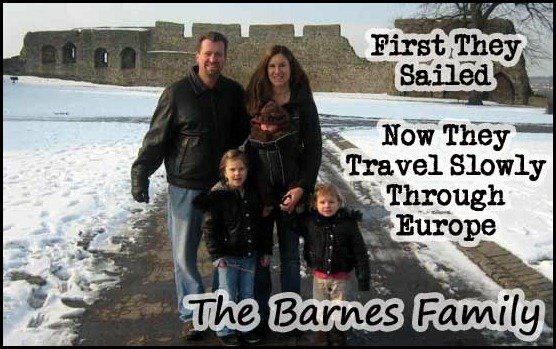 The Barnes family are what we call Long Term Travellers who Slow travel. Meaning, they travel for extended periods of time ( more than a few months) and rather than moving quickly from city to city every few days or weeks, they travel slowly. They choose a home-base, hunker down at that home-base for 6 months to a year before moving on to their next home-base destination. Challenges: Keeping a regular routine for the kids. Creating sustainable incomes while on the road. Why They Travel The Way They Do! Staying for six months in each place allows them to fulfil their dream of travel while also meeting their other goals without all the stress of travelling at break neck speeds. Some of their goals include.. Spend more quality time together. Raise globally minded, creative and independent thinkers. Allow the children to pick up languages along the way. Now, before I get into how the Barnes are making their dream of Full-time travel a reality, let me tell you a little bit about Katie and Jeff’s story. Theirs is a story straight out of a romantic adventure novel. Jeff and Katie are no strangers to travel. In fact, their desire to travel with their kids stems way back to a time before they were married and before they had kids. These two love-birds met and eventually fell in love while working at the same mergers and acquisition firm in California where Jeff was working as a manager and Katie worked as the market researcher. Eventually, they quit their jobs, sold everything, moved onto a sail boat and sailed from Florida to New Zealand over a period of 3 1/2 years. As romantic, adventurous and dreamy as it sounds, it was not all a bed of roses. Because of the nature of living in close quarters, that romantic sailing adventure proved to be the ultimate test of their relationship. In the end, their relationship survived, probably stronger than it was before. 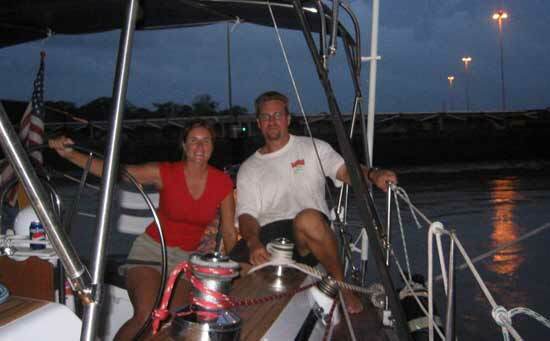 While on their sailing adventure, Katie and Jeff met many families with kids who were travelling long term and that’s when they both knew that they wanted to do the same thing with their future children one day. 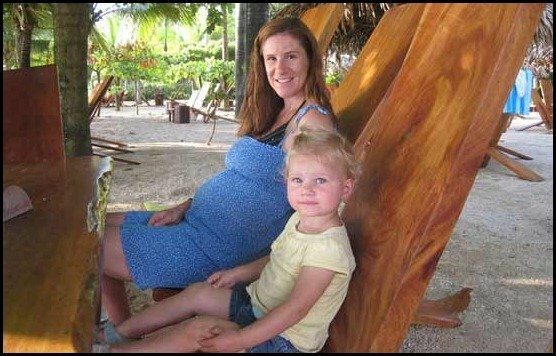 When their amazing sailing adventure ended, they returned to California, married and had kids with the intention of someday returning to a life of travel with the kids. Unlike some people who dream and do nothing about their dreams, Katie and Jeff started making plans right away. The first thing they needed to figure out was how they were going to pay for their future travel. The money plan was simple. Build a few houses, pocket the profit and take off with the kids. Plans don’t always work out the way we want them to. Their plan didn’t exactly work out the way they planned. For one, they only built one house not four. 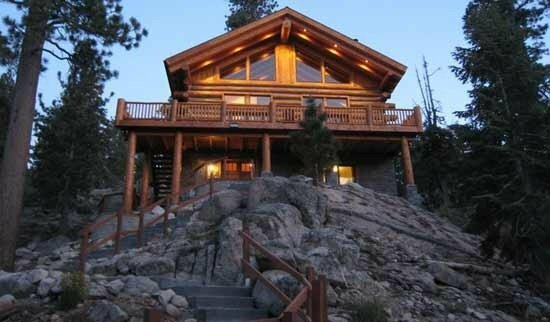 A gorgeous log home on the side of a mountain in Big Bear Lake, California. Two, it took much longer than expected to build just that one house, almost 4 years. Finally, they didn’t profit quite as much as they had hoped to leaving them short of their financial goals. Katie and Jeff were at a fork in the road. Jeff’s job was not going to last much longer which meant they would be free to travel but….they hadn’t quite met their financial goals. They could wait and build more houses like they planned or take the money they had so far and figure out how to make more cash while travelling. The urge to travel was too great and they decided to start their family travel adventure sooner rather than later. The Barnes family had a lot of things to consider for their travel adventure. Namely where would their first adventure begin? The kids were just 4 and 2 and the youngest was just a newborn. At first they thought of heading to Costa Rica where the cost of living was much lower but an earlier trip down their left them feeling like maybe that wasn’t where they wanted to be. Then they set their eyes on Europe where the food, architecture and culture were more in line with their current travel desires. Katie and Jeff didn’t know where in Europe they wanted to go but they did know that they wanted to stay in a city with all the amenities of a city. it was a change from their small town living and that was just fine for them since both Katie and Jeff had never lived in a biggish city before. They narrowed their options to a few European cities like Munich, Strasbourg, and at the last minute decided on Prague where they ended up staying for a good part of 2012. From Prague they travelled out on mini trips to Germany, France, Belgium, England and Poland. So far sticking to one place for 6 months or more is working out and at the beginning of 2013, they left Prague and moved onto their next home-base; Italy. From Italy, they plan on travelling out to Greece, Turkey and around Europe as much as they can. After that, they have no idea but hinted at spending time in France and Spain. When it comes to education for the kids, the Barnes take an interesting hybrid approach. It involves a form of home-schooling (which has turned into more of a world school / unschooling philosophy ), combined with more traditional classroom learning. 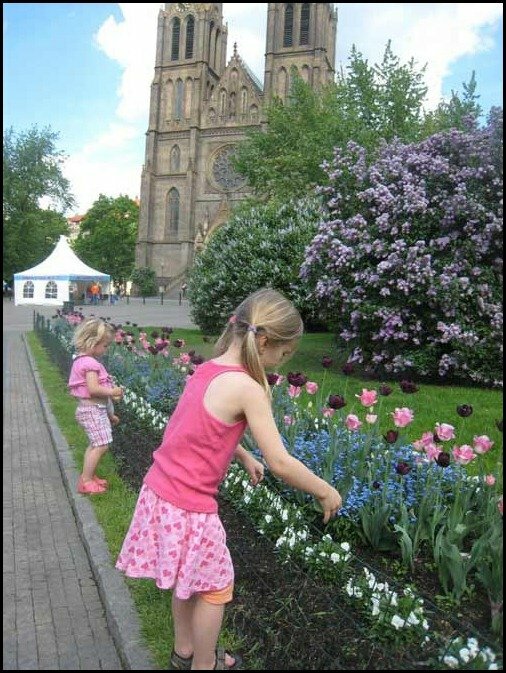 For instance, while in Prague, the kids took art, drama, music and reading classes while Kate applied world school / unschooling philosophy learning at home. In Italy, their eldest school age child may attend school with other Italian children to take full advantage of language immersion. How much stuff do They travel with? They flew from California to Prague with a total of 10 bags. It was the maximum they were allowed to take on their flight (2 bags per person) plus one seat for the newborn. They eventually bought an Audi while on one of their trips out of Prague to Germany and they used the car to make their latest move from Prague to Italy taking only what could fit in the car and on the roof. Since their plan to finance most of their trip with the profits from building homes didn’t quite work out as planned, they finance their trip by pulling from several different resources. Then they sold the house they they spent 4 years building . (This was part of their plan all along). They also have savings and investments that they can pull from. To subsidize their funds, Jeff planned on creating a location independent business (one he could run from anywhere in the world). His business idea involved combining his passion for beer and travel into one. He wanted to give beer tours around the world. He also started learning stock trading/day trading as an additional income stream. 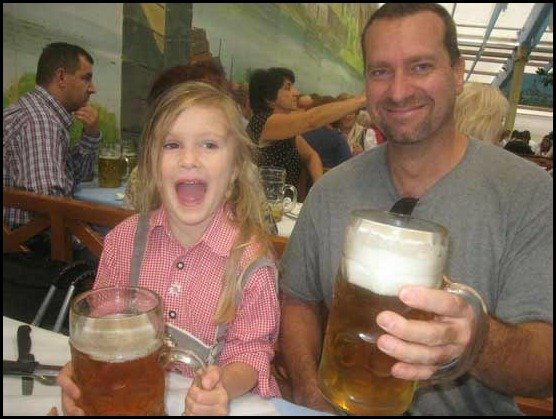 As time went by, Jeff found he had less motivation for beer tours and more for stock trading and has been spending long hours learning and practising methods for making steady income through trading. Jeff says he actually loves day trading and after a year of learning, he feels confident that he will be able to support their travel lifestyle. Creating enough routine for their toddlers while on the go. Spending too much time together in a small apartment with Jeff working (a lot) from home with noisy kids in the house. Deciding where to live next because there were just too many great options. What is their ball park daily budget? The Barnes Family spends about $3500 USD a month. This is their total cost including travel, car, food, rent etc. That works out to about 116 USD per day. There is no end in site for their current way of life. Once the kids are old enough, Katie and Jeff hope to end up living back on a boat again sailing hither and tither with the kids. A lot is riding on the fact that Katie and Jeff will be able to create incomes while travelling. Words Of Advice- For Would Be Long Term Travelers. I asked Katie to give me her top 3 words of advice for anyone out their who dreams of travelling full time and here is what she said. There are some important lessons to be learned here. First, if you want to travel for any length of time, having a plan is great and even necessary but…..It’s not enough. You need a Plan and you need to be FLEXIBLE and willing to adjust your plans on the fly. Just look at the Barnes family. They started off with a plan to finance their trip with the profit from building homes but when that plan fell through they didn’t postpone their dream or give up. They rolled with the punches and decided to figure it out as they go. If you wait until everything is perfect, you may end up waiting a very long time to live your travel dream or worse; you may never do it. It’s not clear how long the Barnes family will travel but it is clear that they are working hard to give themselves options. I’m pretty sure they won’t regret their decision either. The Barnes family one of many families feature. 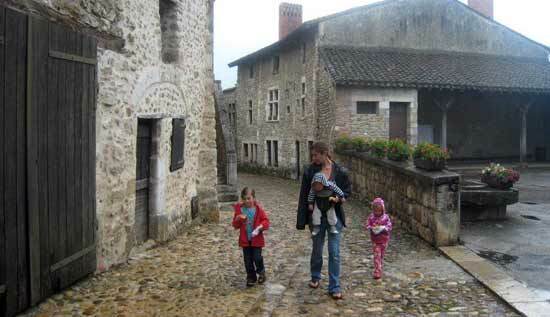 See other families and couples who are travelling full time or for extended periods of time. I Hope It Inspires You To Take Actions on all your dreams not just your travel dreams. Want to get featured on this site like this family? Please fill out this form and I’ll post the story here..Know someone who should be featured?